Staying current with technology: The internet changes about every week. I use that library degree to research what’s new in online marketing and book publishing just about every day. 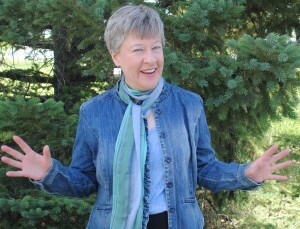 I also teach workshops on social media marketing and different aspects of book marketing. Join my list to get advance notice of free online author trainings. Marketing Philosophy: What you invest in your book marketing (time, money and effort) will depend on your goals for your book. Once we have your goals, we can create a marketing plan that reflects your goals, vision and budget for you and your book. 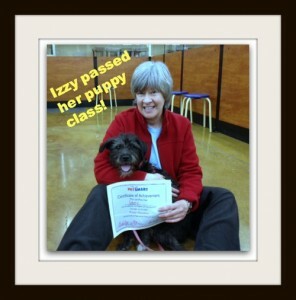 Other stuff: I also love my dog Izzy, (see her puppy class graduation picture below) my friends, living in Colorado, and the internet. Also high on my list are good coffee, dark chocolate, and a nice red wine. Do you have a book and no idea how to sell it? Get started by contacting me for a free, 30 minute consultation. Let's have a conversation about your goals for your book and how I can help you.